Chili Roasted Broccoli | Cooking Component | Naturally. 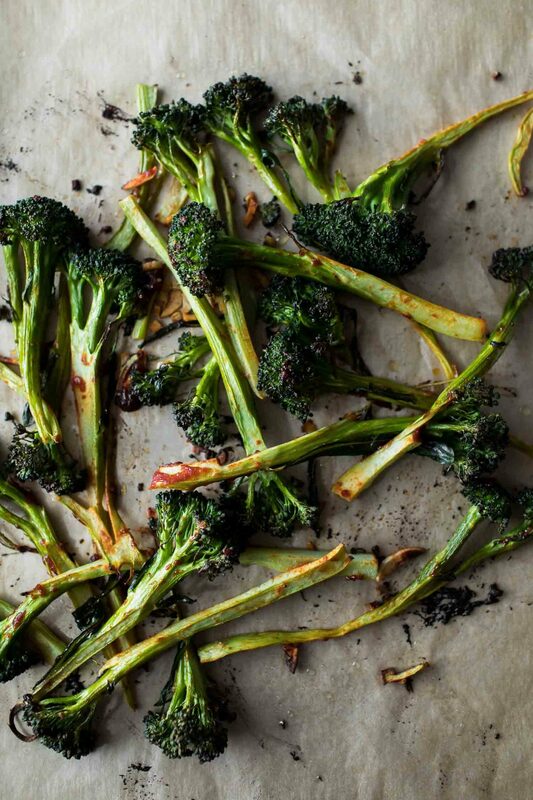 We roast broccoli on a weekly basis during the cooler months. It’s a perfect go-to base when I’m not sure what I want to make for dinner. I now make two batches (one with heat and one without) but both work well in a myriad of meals. I make an extra large batch to use on top of grain bowls and to eat with eggs for breakfast. 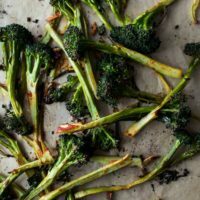 Tender roasted broccoli that has been cooked with chili paste and garlic- a perfect addition to any meal. Preheat oven to 425˚F. Peel the broccoli stems and cut the broccoli into bite-size florets with the stems. Add the olive oil, garlic, chili paste, and sea salt. Toss well, coating the broccoli with the olive oil and chili paste. Place in the oven and bake until browning and tender; anywhere from 15 to 25 minutes. This will depend on how you like your broccoli (I like mine tender and crisp!) Remove from oven and use as you like. Tips + Tricks: Roasting the broccoli is all based on preference.I like mine crisp but I know that’s not everyone’s favorite- use your eyes. Vegetable: You could swap out broccoli for cauliflower, roasted squash, or sweet potatoes. Anything that roasts well would most likely work with the chili/garlic flavor. Ginger: Add in a tablespoon or so of minced ginger. Extra Garlic: If you like garlic flavor, add another clove or two for an extra garlicky component. Eggs: Serve the roasted broccoli with a fried or poached egg for breakfast. 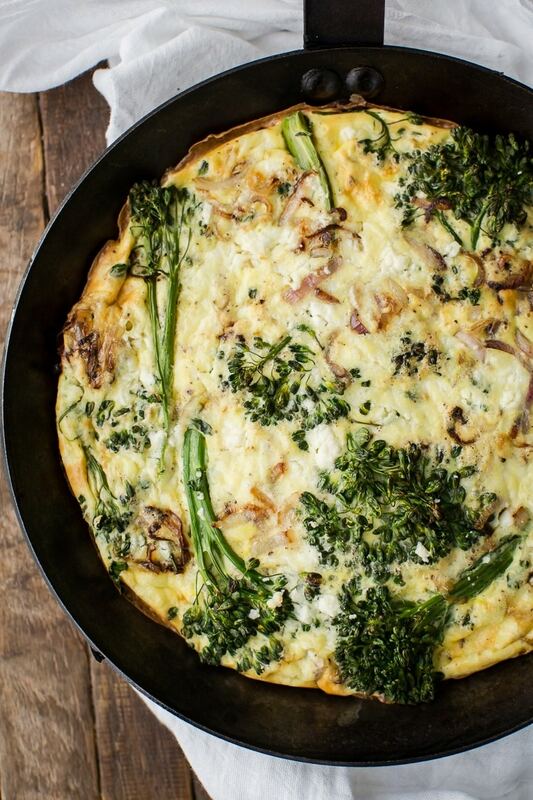 You could also layer the broccoli on toast and top it with an egg. 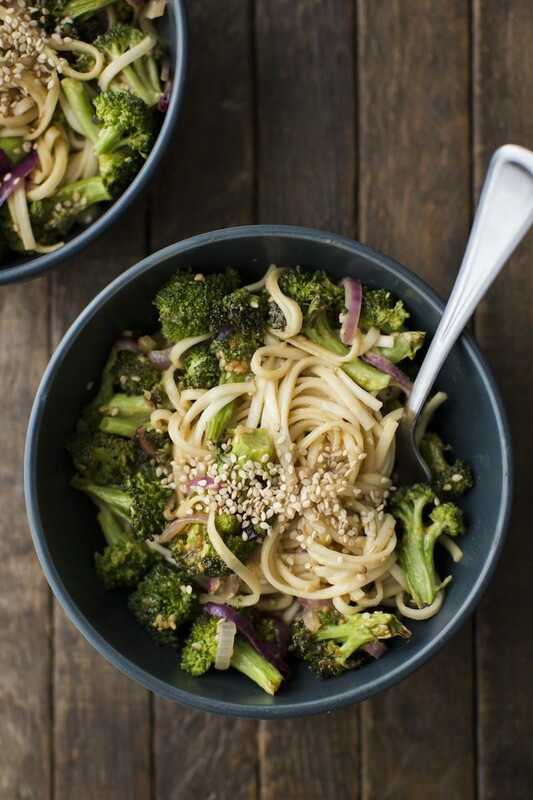 Grain Bowls: Toss the broccoli with grains and legumes then top with a sauce, like a cashew or sunflower cream (or a yogurt sauce). 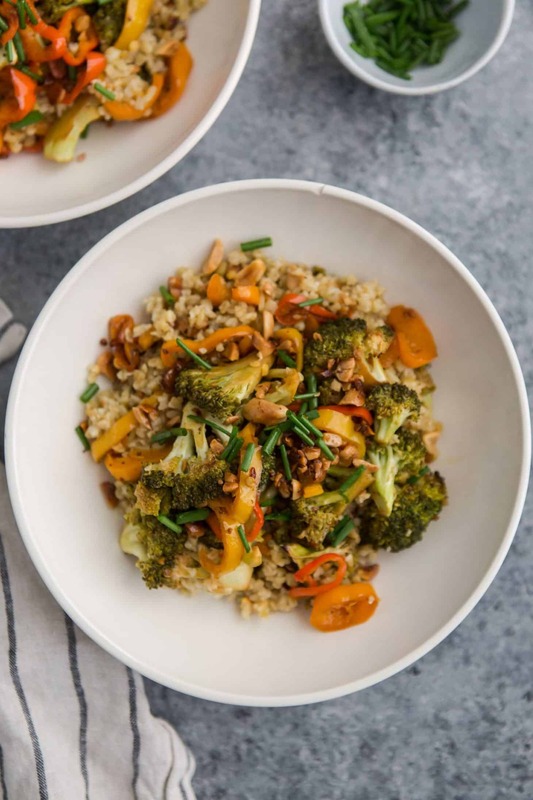 Savory Oatmeal: Make a bowl of oats, either regular or steel cut, and top with the roasted broccoli and any other toppings you might want. Crepes: Tuck the roasted broccoli in a crepe with legumes (lentils would be delicious) and top with a sauce (like mentioned in the grain bowls). Soup: Use the chili roasted broccoli as a base for soup. Blitz in a blender with broth and something creamy (like the cashew cream or heavy cream). 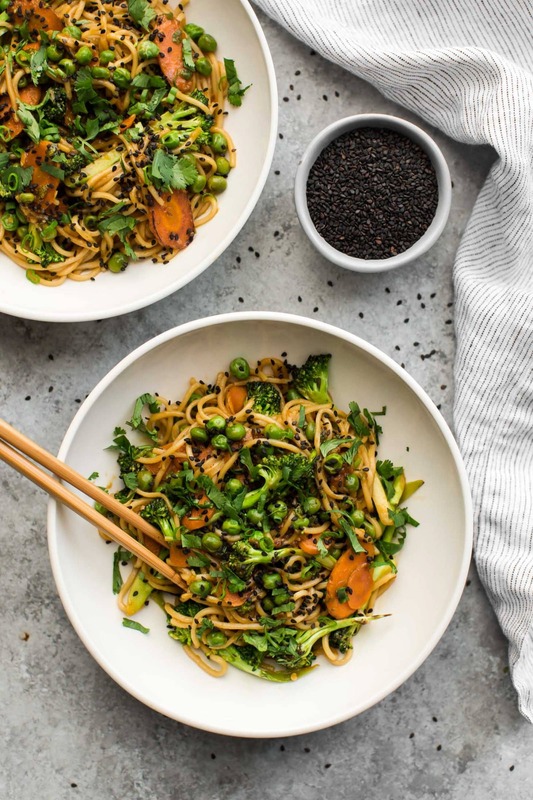 Noodle Bowls: Toss the roasted broccoli with your favorite noodles, like soba or udon, and toss with a peanut or tahini sauce. Dumplings: Pulse the broccoli in a food processor and use as a filling for dumplings. Chile is a country. Chili is a pepper. It’s actually a gray area: http://articles.latimes.com/2000/nov/19/local/me-54396 I actually read into this quite a bit before posting this but I opted to change it to ‘i’ because I realize that it could be confusing.